As your business grows, so do your communications needs. 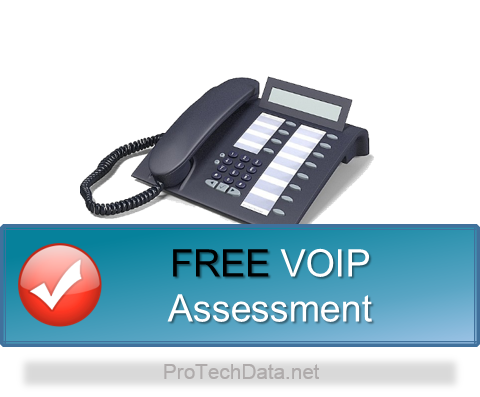 ProTech Data provides easy and affordable phone / network solutions. Why Would I Use a VoIP PBX? A cloud-based business phone system uses the Internet to deliver all the features of an on premise PBX, minus the costly setup and the bulky hardware. Since the Internet isn't bound to a specific location, a cloud-based PBX seamlessly integrates multiple locations and remote employees. It also works with your existing phones and mobile devices, so you can work from your office, or take your office with you wherever you work. No setup fees. No contracts required. Instant activation. Manage calls, voice mail, and faxes from your mobile phone. Add users and phones any time. NEVER miss a fax or call again. Get a complete cloud-based VoIP business phone system that eliminates expensive on premise equipment, includes ready-to-use phones, and provides enterprise-class functionality. Our business phone and fax system combines a hosted PBX with advanced voice and fax, features, reliable VOIP service with unlimited calling and IP phones. Contact sales to customize a package tailored to your business' needs. You'll get a low monthly rate and instant activation, no contracts required. ProTech data delivers all of the rich features you expect from an enterprise-grade phone system, at a fraction of the traditional costs.